When looking for a suitable microphone it’s important that you take into account the type of project you are embarking on. There is a whole host of mics to choose from on the market, from TV & radio mics, to band and musician mics, to specialist ultrasound mics. In this review we will discuss the best microphones for singing and recording currently available on the market. How much are you prepared to spend? There’s no point teasing yourself drooling over a $3500 microphone if you’ve only got a fraction of that to spend. Average professional level singing mics can range from $100 to $250 dollars. If that’s still out of your price range then there are still options available to you. We’ll examine some of the lower budget products on offer. Microphones come with varying abilities depending on the polar pattern. Cardioid is by far the most common mic pattern. It is heart-shaped in its coverage and can easily accommodate one or two singers at once. Most vocal mics will have a cardioid pattern that aims to pick up everything in the direction the mic is pointed, within a close radius. The cardioid pattern is designed to be most sensitive to sound incoming directly on and less sensitive to sound coming from the opposite direction. For live vocal performing, cardioid mics are very good at handling feedback in most situations. Supercardioid has a slightly smaller range than the cardioid although it will be able to pickup instruments behind the mic, should this be an issue. Super cardioid will give a little less pickup from either side of the mic as it has a tighter range than the standard cardioid. It will act well as a strong close-range mic. Like the supercardioid, the hyper cardioid is also sensitive to sounds from the back. This may or may not be what you’re looking for, depending on the nature of the recording or performance. The hypercardioid is more directional than both the cardioid and the super cardioid so it’s important that you keep this in mind when it comes to mic placement. As its name implies, omnidirectional microphones have the ability to pickup sounds in a 360 degree radius. Typical uses of omnidirectional mics would be when trying to capture large groups of people and crowds. Omnidirectional mics can also be used in many musical settings such as orchestras and large vocal choirs. Due to the nature of the omnidirectional sensitivity these mics can be prone to feedback in live situations. Subcardioid mics are similar to omnidirectional mics but not as perfectly even in their pickup range. They are slightly more directional but can be employed in some of the equivalent scenarios as an omnidirectional mic would typically be used. Quite often these mics are referred to as “wide cardioid”. Bi-directional mics have a ‘figure of 8’ pickup range and this means they are least sensitive to lateral sounds on either side, but sensitive to front and back only. They can be used to record two audio sounds at once such as multiple singers or on a drumkit. Condenser microphones are powered mics and generally are more expensive than their dynamic counterparts. They require a power source to boost the signal and sensitivity. This source can be supplied from an internal battery or from the mixing desk, the latter using 48 volt ‘phantom power’. Should you require phantom power with your condenser, there will often be a button on the desk which needs to be activated in order to send the power down the microphone cable. Condenser mics are more sensitive in nature and are great for picking up subtle performances. Typically studio vocal microphones are for the most part condenser as the heightened sensitivity allows for full bodied and crisp recordings. On the downside, condensers are not very robust and better suited to static situations where they have less opportunity to receive the physical knocks and bangs that come with many live situations. For many live situations it is common to see at least a few dynamic microphones plotted around the stage. Their inherent strength of build and the fact that they are less likely to give in to the rigours of live touring and performance makes them an ideal selection. Dynamic mics are by nature not as sensitive as condensers but in many cases the difference will be negligible. Live concerts are louder environments than recording studios and so the necessity for super-sensitivity is not as high. 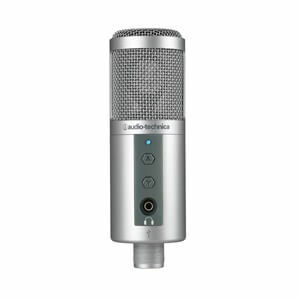 Fetching a good condenser mic for under 150 dollars is a tough task but there are some options available to you. 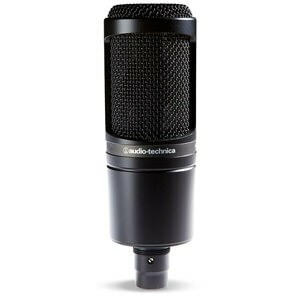 For under $75 Behringer brings us the C-1 Studio Condenser microphone. The C-1 offers exceptionally flat frequency response and considerable sound quality for the low price. It’s a cardioid pickup pattern with fairly impressive background noise reduction. It handles both live and studio applications well but there would be some reservations for the latter. The Behringer C-1 feels a little light and brittle to touch and this might not auger well for live situations in the long term. Slick looking and versatile enough to cover a wide range of instruments, the MXL 770 offers a competitive solution to those seeking an entry-level condenser microphone. 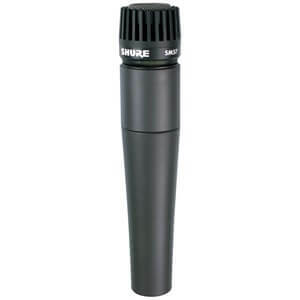 It has a frequency response of 30Hz – 20kHz and is one of the best vocal microphones you can get for the price. 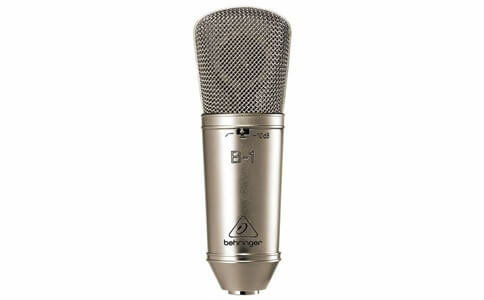 Given its strong high end response, this mic is often recommended for higher pitched instruments and female vocalists. It is noticeably brighter in sound which is worth considering depending on your requirements but overall it’s a fantastic piece of kit. It’s also marginally smaller in size than many of its competitors which makes transporting a little easier. With a large diaphragm and a cardioid polar pattern the Behringer B-1 gives a healthy response in the studio. It comes with a switch so you can roll off the lower frequencies should they not be needed. Examples might include instruments such as piccolo or any situation where you need to reduce a low-end rumble. A popular mic for its price range and you won’t go too far wrong buying one. 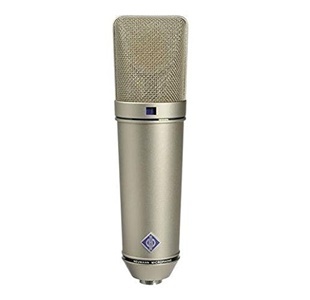 The ‘58’ has long been regarded as one of the best vocal microphones for singers on stage. It is responsive and robust. The SM58 is the kind of mic that can take punishment and still produce a rich, clear tone over many years. Designed to be extremely versatile the 58 is also a good singing microphone for recording. It has a 15Hz – 15kHz range which is best suited to the human voice but can also adequately cover instruments such as acoustic guitar, piano and wind instruments. It is one of the most popular microphones in the world today, and for a good reason. 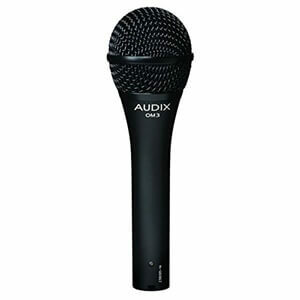 The OM3 is one of the top vocal mics from Audix, offering quality and value for under $150. With a cardioid polar pattern and a frequency range of 50Hz – 18kHz the OM3 is an ideal mic for vocals, brass, guitar and even certain drums (toms and snare). It has a VLM (Very Low Mass) diaphragm for a crisp sound and nicely defined midrange. Like the Shure SM58, the Audix OM3 is a strong and well built mic which will stand the test of many years use and abuse. 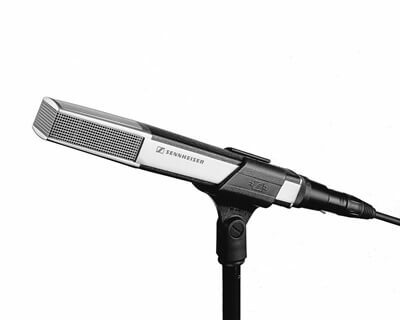 The e835 is a cardioid microphone from Sennheiser offering tight low-mids and a present treble which cuts through high on-stage levels – making it one of the best mics for vocals and perfect for live playing situations. It has a 40Hz – 16kHz response and has a more lightweight feel. The e835 responds better at close proximity which means if you step too far back from the mic head you may notice a big drop in volume. This can be great if you want to cut down on interference in noisy environments. You can also get the e835s with the option of an on/off switch, should you so require it. It wouldn’t be fair to leave the SM57 off the list of notable dynamic microphones. Much like Shure’s SM58, the 57 is a well-loved workhorse and extremely common on live tours and garage practise rooms around the world. Whereas the SM58 is primarily vocal mic, the SM57 is more commonly used on instruments such as guitar amps and snare drums. That said, depending on your voice and vocal tone, you might want to compare the two. Many singers find the 57’s lack of grille to suit their vocal stylings, not requiring the cover that is signature of the SM58. If you’re looking for the best microphone for vocal recording on computers and you want the minimum of fuss with installation, you’ll probably want to consider some of the following. USB mics plug directly into your laptop or desktop and are installed within minutes. There’s also the benefit of the lack of need for a dedicated sound card, which will help keep your spending down. The CAD Audio U37 is a great little mic for the money. For well under $90 you can get a mic that will cover most vocal demands and give you clean, low noise results. The bass reduction switch helps reduce room noise and focuses on close range signals only. Also included is a handy desktop stand which will help you save on space. 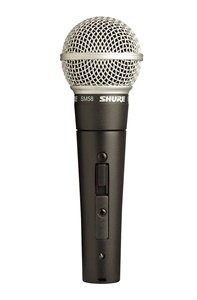 It has a cardioid pickup pattern and gives impressive results for a mic in this price range. Most reviews confirm that it is easily one of the best microphones for recording vocals on computer for those on a limited budget. With a frequency response of 30Hz – 15kHz the ATR2500 is well equipped to any home recording hobbyist. Audio-Technica have designed the mic with both a volume control and a headphone input for direct monitoring, meaning you can get your sound right away with zero latency. It’s plug and play, meaning you can use it with any recording software on the market and set up is a doddle. 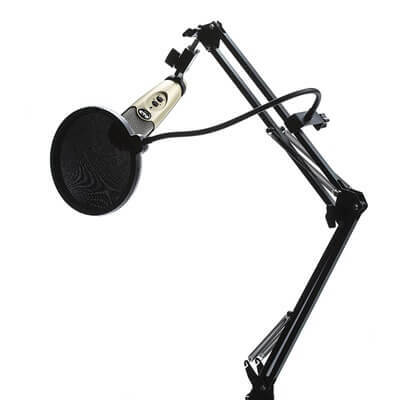 The ATR2500 is a popular mic for podcast creators but handles both vocal singing and instruments capably. Included in the pack is a durable USB cable and a pivoting stand mount. It’s a bit more expensive than the CAD Audio U37 but great value at that. Coming in at a little under $200 the Rode N­T-USB is considered by many to be one of the best microphones for singing and podcasting. If you have a bit more cash to splash and you want to go for something more worthy of a studio, there is a wealth of options to choose from. Most bigger budget vocal mics tend to be condensers given their quality sound response. You can spend anything from a couple of hundred dollars to over $3000 when comparing the top mics on the market. Let’s examine some of the best microphones for vocals and their pros and cons. Sennheiser claims the MD 441-U offers ‘the sound quality of a condenser microphone, balanced sound and a precise and distortion-free reproduction’. Sound quality is indeed crisp and clear with healthy bass and lower-mids. The MD-441-U is priced under $1000 and stands up well when tested with both male and female vocals. For under $700 you can be the proud owner of Electro Voice’s RE20, a large diaphragm dynamic cardioid microphone. There’s a refreshingly flat response from this mic which makes it very easy to get a good sound on most instruments. Although it’s much preferred by radio and TV broadcasters this mic is perfectly capable in a musical capacity. Frequency range is 45Hz – 18kHz with a bass roll-off switch should you need to cut down on any unwanted rumble. You also get an included mic clamp and storage box for your investment. This microphone is a ribbon mic which technically speaking means it uses ‘a thin aluminum, duraluminum or nanofilm of electrically conductive ribbon placed between the poles of a magnet to produce a voltage by electromagnetic induction’. So what is the difference here between the condenser mics we have been previewing? Effectively you will find with ribbon mics that there is less of the pronounced crisp high-end associated with condensers and exceptional midrange detail. By definition ribbon mics are bi-directional giving them a figure of 8 polar pattern. The R-121 has been used on countless albums by top engineers, ranging from kick drum applications, to piano, to vocals and brass. It really is a top-end microphone and you should be able to pick one up within the $1000 – $2500 range. 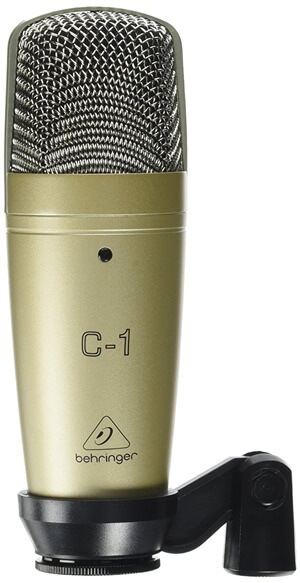 The Neumann U87 Ai is considered by some to be the best studio microphone for vocals. It comes packed with a wind shield for reducing plosive sounds when recording, a high quality cable and a wooden carry case. Coming in around the $3500-$4000 price range, the U87 is a serious mic with outstanding capabilities. It’s also built to last and you should expect to get a lifetime of use out of this mic. A nice feature with the U87 is its ability to switch polar patterns depending on your requirements. You can choose from cardioid, omnidirectional and figure of 8 patterns to adapt to a host of different recording environments. 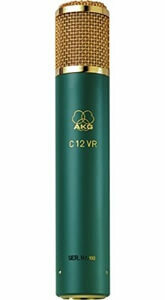 Branded as “the holy grail of microphones”, the C12 VR comes with a hefty reputation and an even heftier price tag. Offering nine polar patterns all selectable by remote control this mic is built with multi-function capabilities in mind. Handcrafted in Vienna, Austria, its sleek gold finish is indicative of the C12 VR’s prestige and build quality. Sound-wise it boasts a broad 30Hz – 20kHz range with a bass cut filter. The original of the series was first released in the 1950s and today’s model claims to be its best yet. Of course if you have under $6000 laying around and you want your own piece of AKG history then this mic is for you. Unfortunately, it’s hard to justify this considerable outlay of expense bearing in mind the cheaper alternatives on the market. Whilst trying to find the right mic to cover a range of applications is an arduous task, there are many impressive models on offer. We must take into consideration a number of factors. Will the mic be used primarily at home or in the studio, or are you going on a tour? Do you want to spend less than $100 and still have change for your dinner, or can you afford to max out the credit card? For up and coming band members a quality dynamic mic is a wise investment. Not only will it give you professional level quality, it will also last years and give no hassle. For this situation it’s hard to look past either the Shure SM58 or SM57. At around the $100 mark they are great mics and will stand the test of time. Should you be performing your singing from the comfort of the home recording studio you may want to go for something with a bit more sensitivity, namely a condenser microphone. For those on a lower budget you will do well with either the Audio-Technica AT2020 or even the MXL 770 Cardioid Condenser Microphone. Both offer outstanding results for the money and should, with a lot of care, last a long time. If you don’t use a soundcard or any kind of interface and are looking for a mic to plug directly into your computer, one of the USB kind will answer your calls. The CAD Audio U37 is one such microphone. Coming with a handy stand, you get everything that you will need to record at home with the minimum of fuss. It should leave you some change from $75 and results that will sound a lot more pricey. For those shopping on a bigger budget there is a hoard of likely candidates. Of the ones mentioned in this article, the Electro Voice RE20 RE-Series is an outstanding microphone. It’s versatile and gives great results on vocals, whether spoken or singing. It’s on the lower end of the higher end, so to speak, and you should be able to fetch one for under $700. For serious professionals the Neumann U87 Ai is a gift in the studio. You will get unparalleled sound response and find that it can handle just about any situation at its ease. It’s no coincidence that most studios will stock at least one U87. In any case, whether you’re shopping with a view to entering the industry or looking to add to your already vast mic collection, it’s worth doing your research in full, and actually hearing the quality of each microphone in person is always highly recommended.